Robert Harrop Designs was established by Robert and Margaret Harrop in 1986. 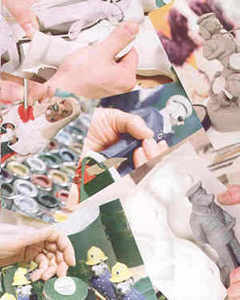 Before forming the company, Robert Harrop had worked for various companies as a commissioned modeller where he developed his knowledge of collectables and his view that the use of ceramic resin, rather than revolutionising the industry had led to a ‘follow the leader’ design approach. The Harrops came up with the motto “Originality by Design” in an attempt to sum up what the company was about and what they were trying to achieve. The intitial range of ‘Doggie People’ became popular very quickly and the company soon expanded from the front room of their cottage into new premises at Coalport House in Shropshire where the company is still located today. 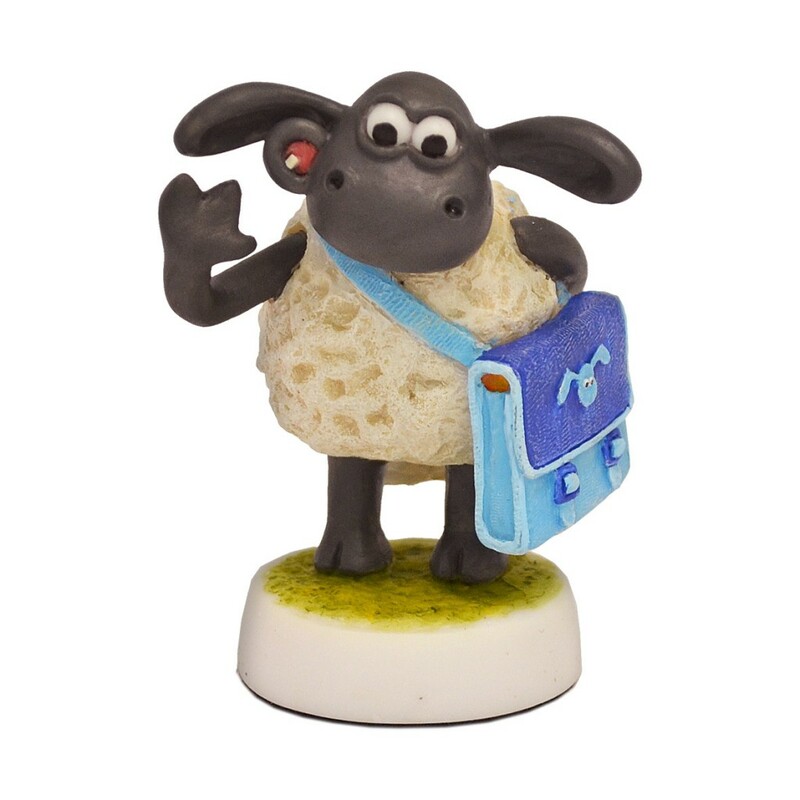 As well as the Doggie People, current collections include The Beano and Dandy Collection which was introduced in 1995, Mr Benn, Camberwick Green, The Clangers, The Magic Roundabout and Bagpuss. The very popular Wallace & Gromit franchise, Supermarionation and Dr Who are some of the latest series to receive the Robert Harrop touch. Models retire every year with prototypes and early models being highly sought after, especially. Robert Harrop’s work prior to the company formation such as his first series of collectables, The Country Set which featured his first ‘almost human’ animal characters. The Robert Harrop Collectors’ Club was established in 1994 and now has over 3,000 members. It was originally called the Country Companions Collectors Club but was renamed in 1997 to encompass the expanding range of Robert Harrop Designs. The club has varied over the years and currently includes three levels of membership Gold, Silver and Bronze. With Gold Membership members have a choice of joining gifts. 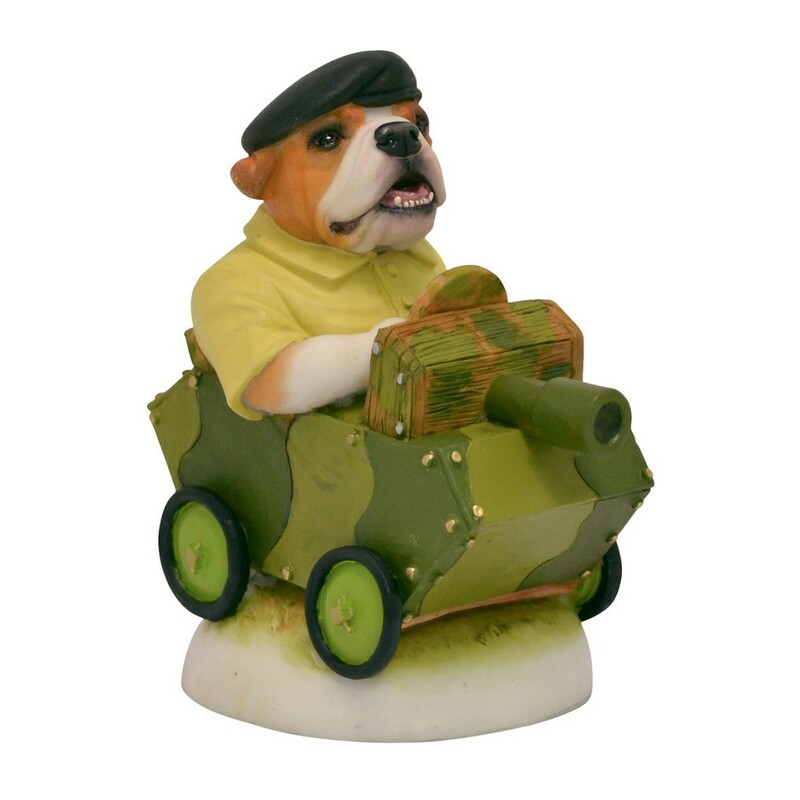 The Harrop Doggie People ‘Collectors Edition’ is our Bulldog Puppy “Raw Recruit”. The Harrop Wallace & Gromit ‘Collectors Edition’ is Timmy. 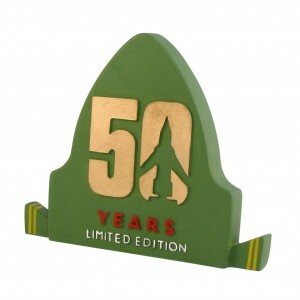 The Harrop Supermarionation ‘Collectors Edition’ is the Thunderbirds 50th Anniversary plaque. 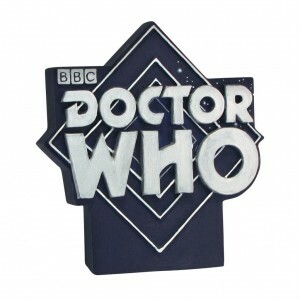 The Doctor Who ‘Collectors Edition’ is the Doctor Who Collection plaque.